The Wagner for Governor campaign today will release its final television ad of the campaign, contrasting Scott Wagner’s and Tom Wolf’s policies on immigration. 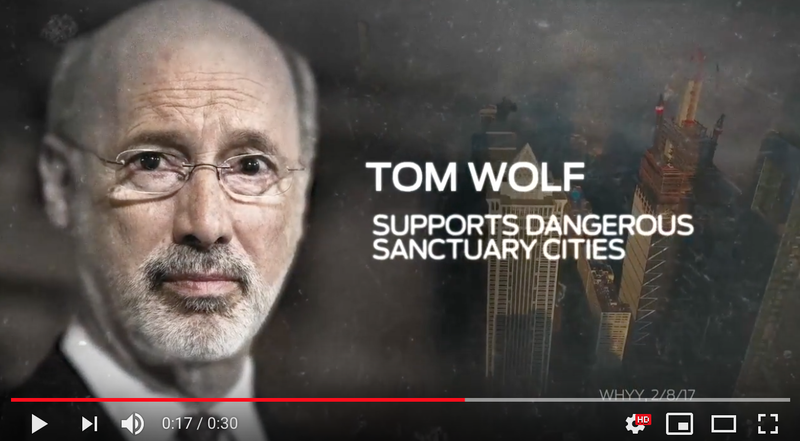 Caravan, a 30 second spot that will run in markets across the commonwealth, illustrates how Tom Wolf supports sanctuary cities and opposes securing our border while Scott Wagner has the immigration stances that will keep Pennsylvanians safe. Today’s ad comes after Wagner announced a television advertising blitz for the final two weeks of the election. Wagner spent $750,000 on TV ads from October 22 – October 28 and is spending another $1 million on TV ads this week. NARRATOR: On immigration, there’s a big difference between Scott Wagner and Tom Wolf. A dangerous caravan of illegals careens to the border, two more behind it, and liberal Tom Wolf is laying out the welcome mat. He opposes President Trump’s call to send troops to the border and supports dangerous sanctuary cities, which attract even more illegals. Scott Wagner will keep Pennsylvania safe, ban sanctuary cities, and stop the caravan from coming here. Scott Wagner for governor.